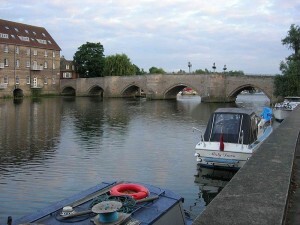 Strolling around the streets, your stop in Huntingdon will be a memorable experience. With superb English Heritage. 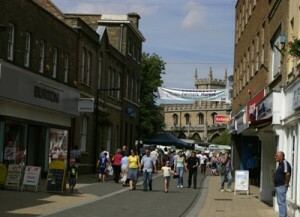 Visit Huntingdon has lots of useful information for the visitor. Oliver Cromwell was born in Huntingdon on 25th April 1599. Its believed his place of birth was The Friars, a house, which along with farmland was given to his father Robert Cromwell, by Sir Henry Cromwell, Oliver’s grandfather and resident of Hinchingbrooke House. 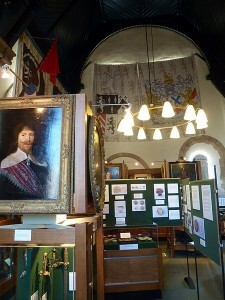 The Cromwell Museum contains some interesting exhibits of life during our Civil Wars. Centred on an island on the Great Ouse at Houghton, stands Houghton Mill a large timber-built watermill with operational machinery. The Mill is owned by the National Trust and is open to the public at weekends, flour is still milled and sold to visitors.